Located in the Southside area of Jacksonville on Gate Parkway, Oxford Chase is conveniently located near, interstates, the beaches, shopping, extraordinary dining and lots of fun and entertainment! Oxford Chase is a gated community with 250 luxury townhouses featuring three impressive floor plans with two-car garages. The elegant clubhouse features: meeting room, swimming pool and fitness center. Oxford Chase homes for sale is reviewed 4.8 out of 5.0 18 over the internet. Red Door Realty Group is considered one of the top-rank Real Estate Agency Jacksonville FL. 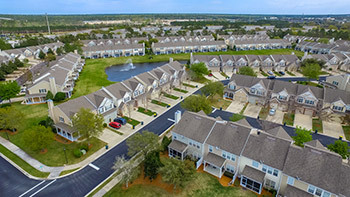 Check out our more listings you might be interested in Deercreek Homes For Sale , Deerwood Country Club Homes For Sale , Glen Kernan Homes For Sale , Hampton Glen Homes For Sale , Houses For Sale in Hampton Park, and Vizcaya Homes For Sale.